John Moldovan's blog, devoted to post mortem analysis since September 1996, is archived on our site. Michael Goeller's award-winning blog, which ran 2005-2014, is archived on our site. 2005 to Jan. 2, 2014. Replaced by the Kenilworth CC Blog. 2009-2014. Featured posts by Don Carrelli, Ian Mangion & others. 2013-2017. Featured tournament reports & announcements. 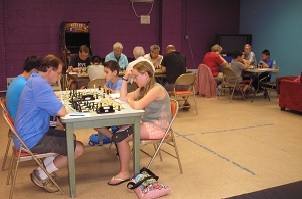 Established in 1972, the Kenilworth Chess Club is a fun and active club with both beginner and master chess players. We meet every Thursday night beginning at 8:00 p.m. in the Recreation Center at 575 Kenilworth Boulevard in Kenilworth, New Jersey. Enter through the rear door. The building is easy to find at the corner of 24th Street and less than a mile west of Garden State Parkway Exit 138 (see Directions ). 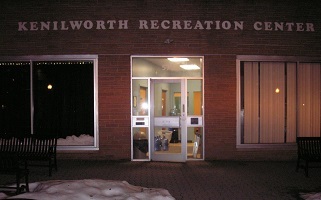 It is to the left of the Kenilworth Municipal Building, which houses the Kenilworth Police. Visitors and new members are always welcome and chess lessons are available. Membership is $15 per year. Membership is not required to play, but some activities (such as our annual Club Championship tournament) are open only to members. Chess sets, boards, and clocks are provided. Most meetings feature casual play and discussion. 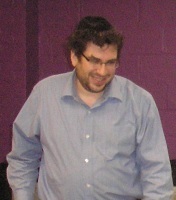 We also often host lectures, rated and unrated tournaments, Garden State Chess League matches and other chess events. See our club calendar for details. We have an ever-growing list of articles published by members of our club, including opening analysis, book reviews, and annotated games. Some of the best links to opening analysis on the web can be found at our site. We maintain a listing of weblogs devoted to chess on the internet.